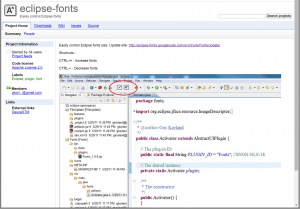 Have you ever asked yourself why it is so complicated to change the font size of your eclipse working environment? Easpecially when you are working with a notebook and switching between the build in display and different external displays it make sense to adapt your font size to the different screen resolutions. 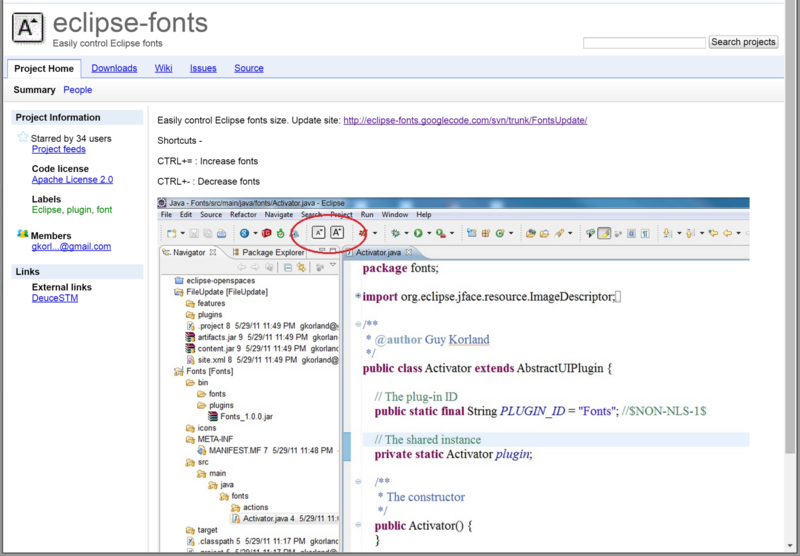 Note: Since Eclipse Neon (4.6) this is a build in feature. By default, you can use Ctrl+”+” or Ctrl + “-” to increase or decrease the font size of your active text editor or view. and use Ctrl+- or Ctrl++ to decrease or increase your font size. Note: If you manually changed your editors’ font size before, you might need to reset this to make the plugin effect your settings. Enjoy adapting your font size to your current screen resolution!